In this podcast I cover all things Instagram. While 20 minutes isn't quite long enough to get into everything there is (I could talk about this stuff all day), I do believe I cover quite a bit of useful information in this one! Today, Instagram is not simply about having a curated lifestyle feed (although that is definitely still relevant). It's a sophisticated way for us to connect with our clients, and we'd be remiss to not recognize that or utilize these amazing features. There are tons of apps that can help you use Instagram effectively, such as Iconosquare, Sprout Social, and Hootsuite (to name a few). Also, within the Instagram app itself, there's some really powerful data. From collections to insights, there's so much you can do to prospect and determine what makes a powerful post for your audience. A common misconception is that social media is something you "get to". Social media IS your work. THIS is prospecting. Let's get into this, friends. Here's this week’s episode of The Creative Entrepreneur. When I was a little boy in England, my father said, "If you can find a job that you like, you are going to be happier than 98% of the population." Here's what I see happening over and over again with young real estate agents and young men and women in other careers - they become miserable under the pressure to succeed; they become slaves to their careers and lifestyles. Why? Because they're rooted in the results. Friends, we can't control the outcome. The secret is learning to be happy, whatever the outcome. The ONLY thing you have control over is your actions. There's freedom in this. It's about waking up every single day, busting our asses, and staying out of the results. Greetings and welcome to the Creative Entrepreneur Podcast, I am your host Pete Lorimer, former hit record producer, now host of the show Stay Here on Netflix and owner LA’s most creative Boutique real estate firm, PLG Estates. This podcast ventures into one of my favorite things to talk about: failure. Failure, as far as I'm concerned, is my friend. It used to be my enemy, I was terrified of it. Now, I see it as a way to reset my compass. I don't run away from failure, because I have and still do learn from it. Don't listen to the debating society. Dig in. Don't make it personal. Fail on your own terms and watch you and your business grow. So without further ado, let’s dig into this week’s episode of The Creative Entrepreneur. This podcast dives into something a lot of entrepreneurs suffer with--we become trapped by fear and start underestimating ourselves. We talk ourselves out of 90% of our ideas. Those ideas you see happen? Those ideas come to fruition through relentless, persistent action that don't listen to those dream-crushing voices. There's no middle, there's no playing it safe. You're either moving closer or further from your goal. We need to nurture our ideas. You have nothing to lose except time. So without further ado, let’s dig into this week’s episode of The Creative Entrepreneur. Greetings and welcome to the Creative Entrepreneur Podcast, I am your host Pete Lorimer former hit record producer, now host of the show Stay Here on Netflix and owner LA’s most creative Boutique real estate firm, PLG Estates. The real estate, like many industries has changed over the past decade almost to the point of being unrecognizable. Along with that change, has come readily available data which allows us to drill down and find those most likely to see or buy. In today’s podcast I will be going over some of the best programs out there along with some of my techniques to help us capture more business. So without further ado, let’s dig into this weeks episode of The Creative Entrepreneur. That’s about it for this week. I will be back again next week with another info laden episode of The Creative Entrepreneur. Thank you for your comments and please feel free to share this with someone who might get value from it. Until next time this is Peter Lorimer out. I’ll see you later. On today’s podcast I will be going over an ethos that is one that came to me over the evolution of trial and error and more than my fair share of school of hard knocks diploma. Rather than me just blurting out what they are, why not just kick back, get comfortable and join me on the Creative Entrepreneur Podcast. On today’s podcast I will be covering a subject that is one of the most important guidelines of how to grow your business. A love affair with the unknown is exactly that. It means no fearing what’s around the corner but embracing it. If we knew everything that was going to happen in our lives we would lead a rather boring existence. My motto is if the trail of breadcrumbs gets me 65% the way there the rest is a love affair with the unknown... thanks for joining me on the creative entrepreneur podcast. [09:54] “Expectations are the thorn in the side of of any hopes and dreams, expectations are toxic. On the podcast you will always find business and real estate strategies, marketing techniques and tips for the entrepreneur so hit that subscribe button. On todays podcast, I will be going over some fundamental tips that, when applied whole heartedly, can double your business. I live by what I say as the strategies I will be going over today are key to how I do business on a daily basis. I will be covering fear, courage and everything in between so as always, thanks for joining me on The Creative Entrepreneur Podcast. Greetings and welcome to the Creative Entrepreneur Podcast I am your host Pete Lorimer former hit record producer now host of the show Stay Here on Netflix and owner La’s most creative Boutique real estate firm PLG Estates. On today’s podcast we are going back in time. Very often I am asked what exactly I did to achieve the success in real estate I did so quickly. 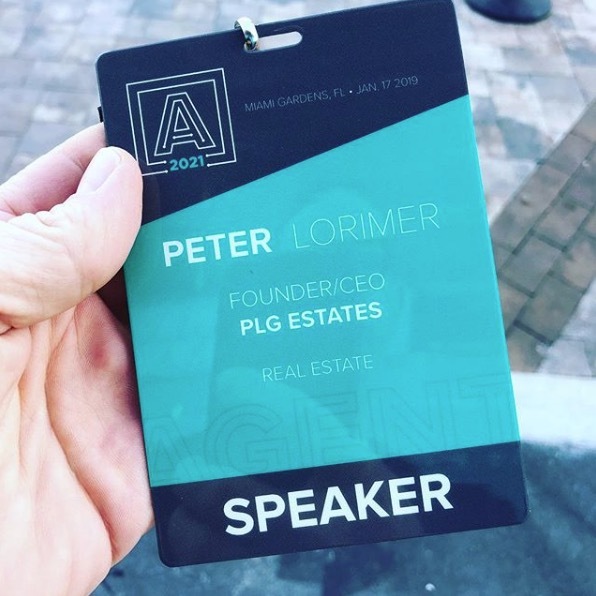 So today I am busting out the Pete Lorimer handbook for new agents to get a foothold in this incredibly saturated and notoriously difficult profession with my Too 10 tips for new real estate agents. Thanks so much for listening.... now here is the podcast. On today’s podcast we get to sit down with multi platinum selling artist, song writer and producer Dennis White aka Latroit aka static revenger aka charm farm. 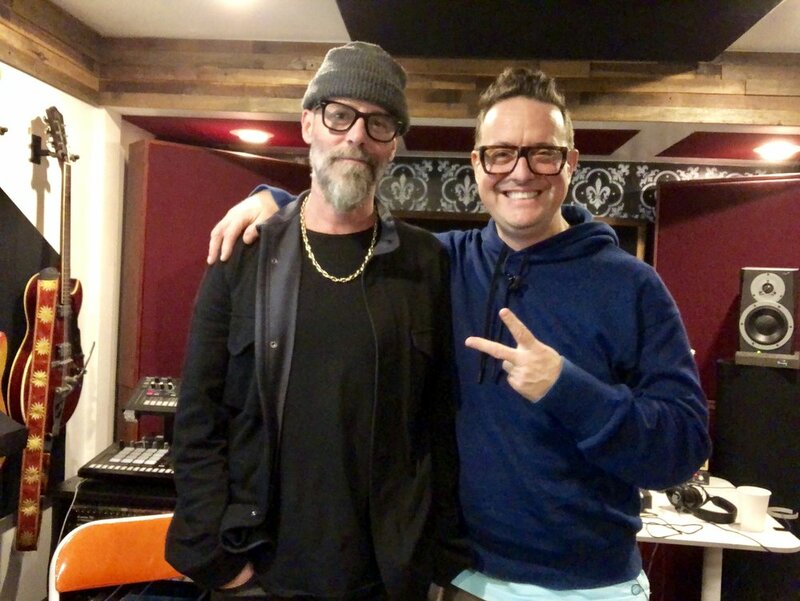 Dennis who has worked with the likes of such industry giants Deadmaus, Kevin Sanderson from ground breaking band Inner City and culminating with his 2018 Grammy winning work with Depeche Mode. I got a chance to sit with my mate Dennis to find out what keeps his clock ticking as a creative entrepreneur and how he remains relevant and as fresh as he does after 30 years. 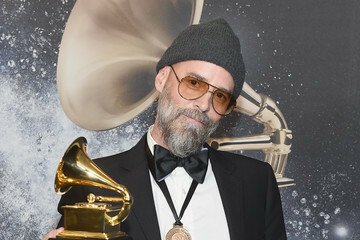 Plus we will get the inside scoop on the winning of that Grammy too, Stay tuned at the end of the podcast for some bonus tracks by the marvelous Dennis White ..... so without further ado he is Dennis White as my guest on the creative entrepreneur podcast. Hey guys so I am beyond stoked to present you with this podcast. I was lucky enough to go to Agent 2021 on Miami as a speaker for none other than Gary Vaynerchuk himself. I was one of a handful of hand picked speakers at this prestigious event host by Gary Vee. In this podcast I go over my recap of the entire event including my key takeaways. The real Estate industry has is no longer your Mom and Pops local guy if’s a sophisticated business with incredibly important nuances and techniques coupled with self promotion and a required social media skill set. I will go over the best of the best of the conference and then stay tuned after my rant for actual clips of me on stage at the fabulous Agent 2021! Pete Lorimer Podcast - "Opinions on Zillow - Hashtag Ninja - Silicon Valley Closing Gift "
This weeks show is in three parts, the first topic I will be covering is the Gorilla in the room if real estate, Zillow. I will go over my thoughts and opinions regarding rhe giant of the real estate industry. Love it or hate it it is most certainly here to stay so I wanted to give you an idea of what my stance is in the mix of it all. Second item on the docket is how to use hashtags. Have you ever sat staring at your phone after doing a killer post wracking your brain for hashtags or worse still "What thwe heck are hashtags!!". Well calm your nerves because I have a playbook on the subject that should shed some light on the subject, plus I will tell you how I use them. Last but not least, Silicon Valley does it again with Evabot which is a much more sophisticated way for us to send closing gifts to our people than the mad dash to the mall on your way to the final walkthough. Evabot makes the process simple and painless but with the HUGE added bonus of being able to track data too. I really appreciate so many of you texting, emailing and sending love its greatly appreciated and I will have another podcast out next week. Thanks for listening AND for being part of the rebellion. TODAYS MANTRA - is all about how to nurture your digital village. Now more than ever “service” which is a word that’s over used and often insincere is the most powerful weapon we have. Giving knowledge away is something that’s at my very core and that coupled with “service” is the most powerful business elixir I know. Plus it’s the end of the year people. Lots of folks are asleep at the wheel so this is the time to pounce!! So many folks feel like they deserve to take it a little easy as it’s the end of the year. Hell, some even take their eye off the Ball completely, I have always used that to my advantage and so should you.